Just when we thought the craziness of the world was leveling out, Crayola announced that one of its longtime crayons, dandelion, will be retired. This revelation comes on the heels of Monopoly’s replacement of the thimble, the boot and the wheelbarrow tokens. The world, indeed, has gone mad. That iconic 24-pack will retain its count. The larger, more colorful 64-pack will be dandelion yellowless for a while as well. A replacement color is yet to be named. A box mate since 1990, it seems that dandelion has run its course. 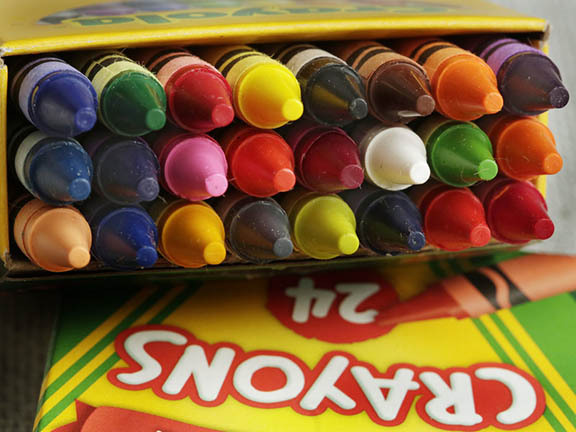 To add insult to injury, Crayola has planned its public ousting on National Crayon Day. The company announced that it would be live-streaming this colorless event. And where, but in the craziest of centers, our very own New York’s Times Square. Retirement party or public meltdown? We await the answer. What are young artists and adult colorers to do? Stay tuned, and wait for Friday’s announcement. This entry was posted Friday, March 31st, 2017 at 6:57 am	and is filed under art, culture. You can leave a response, or trackback from your own site.